When I use a fat quarter bundle for a project, the first thing I do is remove all the low volume prints. 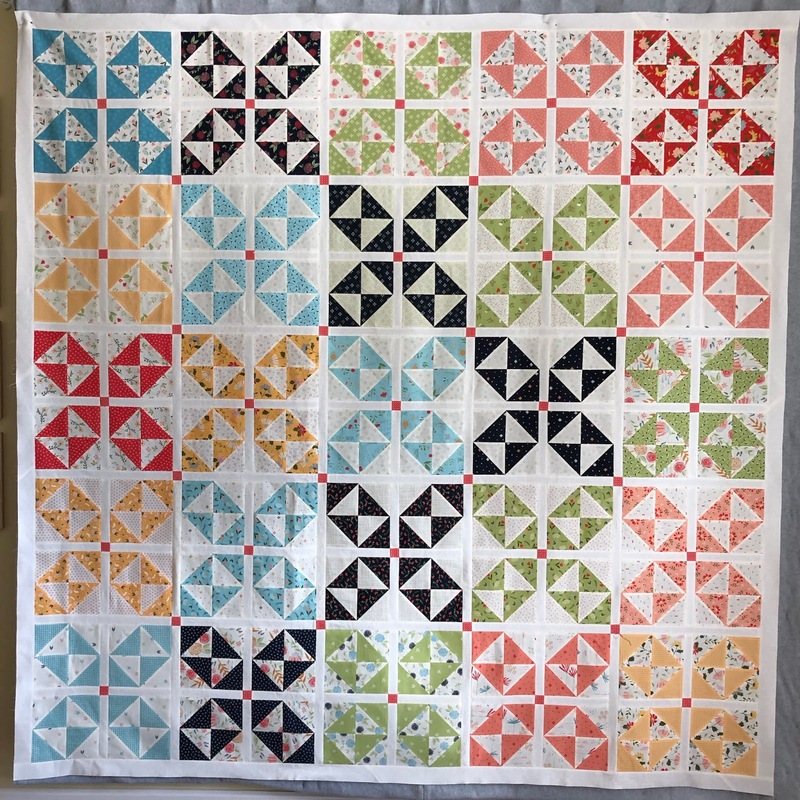 I then use a plain background fabric with all the remaining colorful prints. 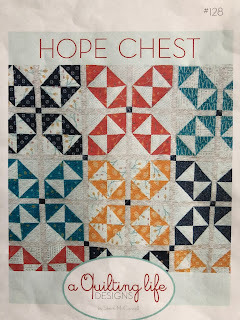 Since I've been quilting quite a while, I have accumulated a pretty large stack of low volume prints. I decided to use a few of those prints on my next project. 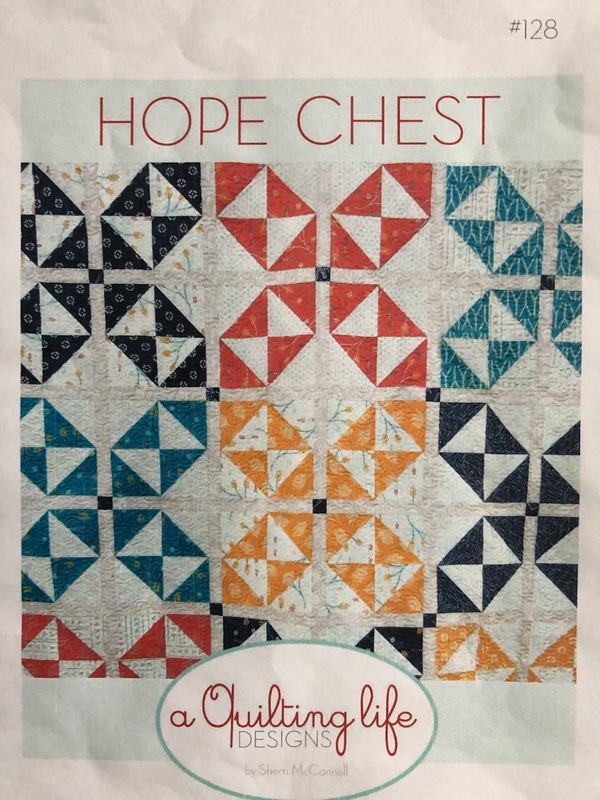 I selected the pattern by A Quilting Life, Hope Chest, to use of some of low volume prints. 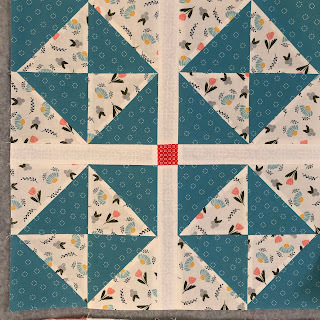 This is the first block I pieced and I immediately thought, what a pretty block, why have I been avoiding my low volume prints. 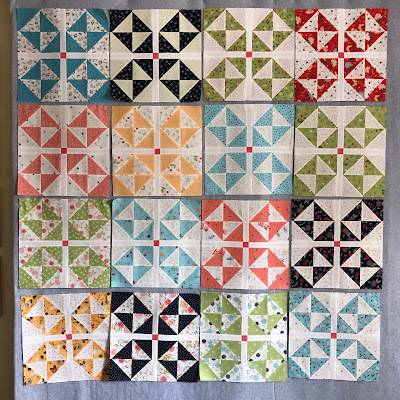 The pattern calls for 4 rows of three blocks, but I like a square quilt so I pieced 16 blocks, 4 rows of of 4 blocks. 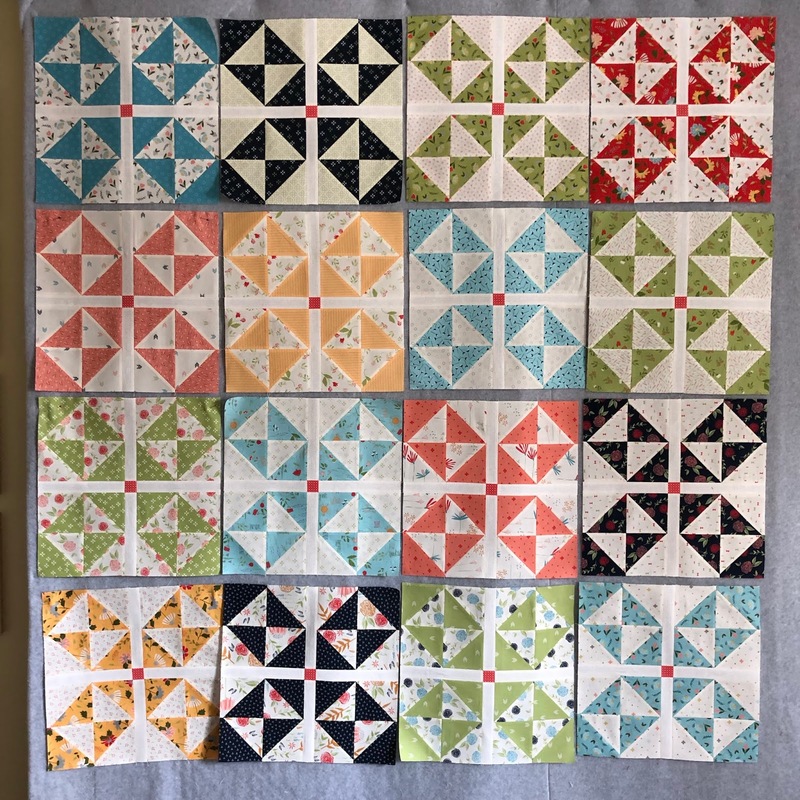 I enjoyed piecing these blocks and loved the look so much I decided to make my quilt even bigger, 5 rows of 5 blocks. It finished at 83" x 83"
It has approximately 985 pieces. 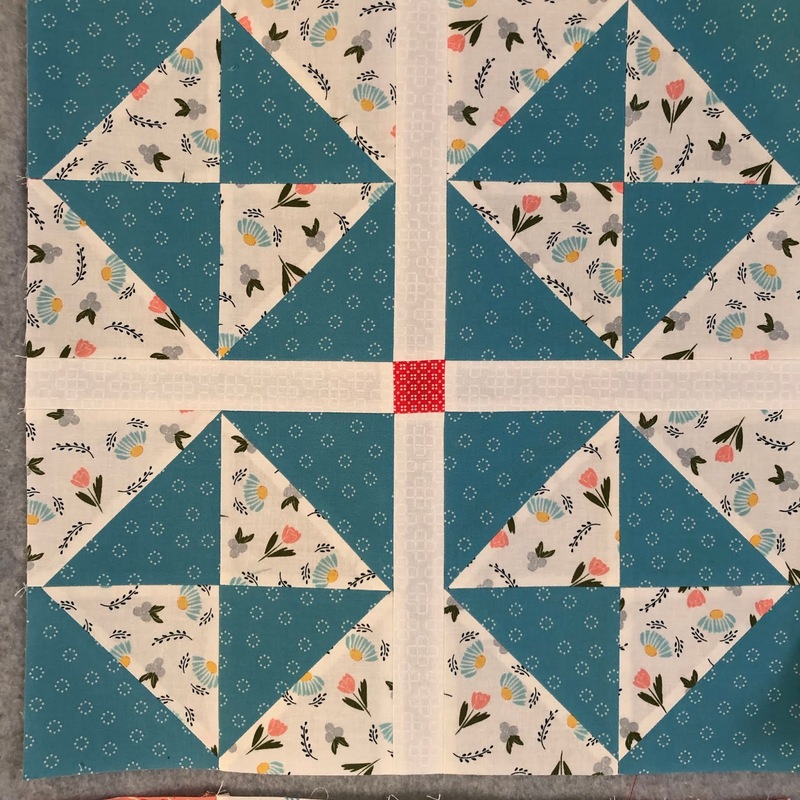 I still have a stack of low volume fat quarters, but I don't think they'll be growing at quite the fast pace as they have in the past, after this beautiful finish I plan to use them more often.